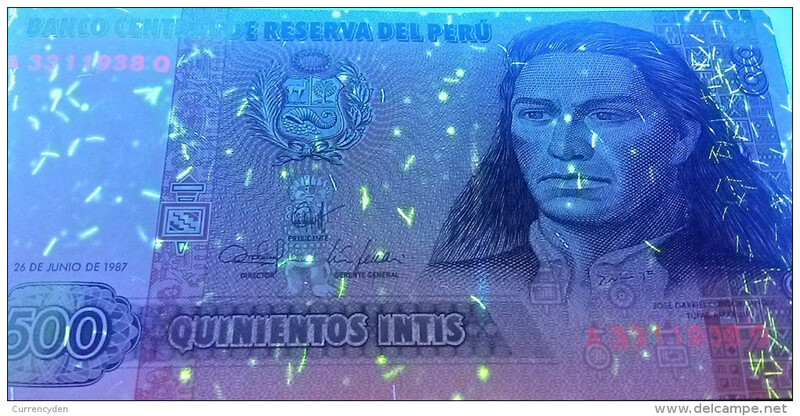 Tupac Amaru II on front. Túpac Amaru II (José Gabriel Túpac) executed in Cuzco 1781, was a leader of an indigenous uprising in 1780 against the Spanish in Peru. Mountain climber in Andes mountains on reverse. 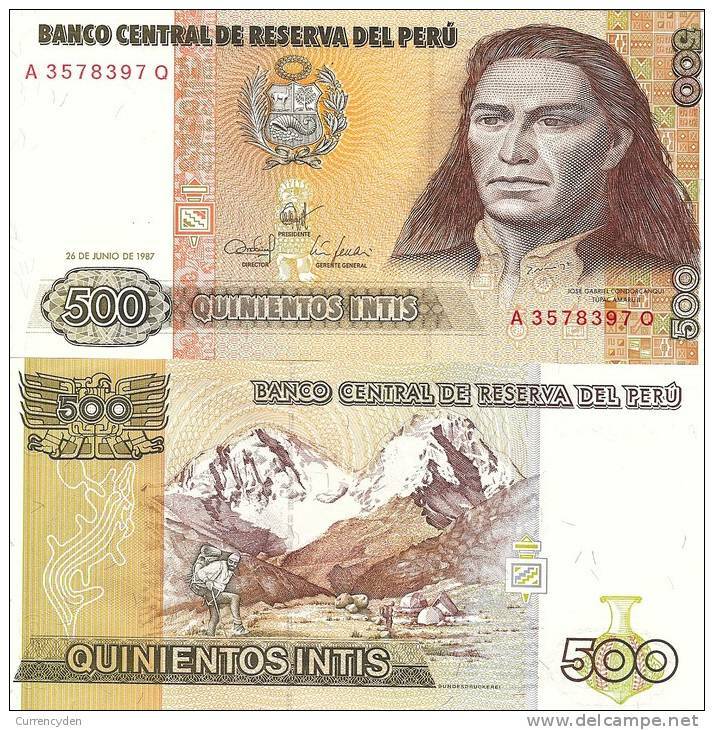 Intis is a regional word from Quechua, Peru meaning "Sun" the principal god of Inca culture. Image is not exact notes in lot. NEVER A RESERVE ! !